Mumbai, India – June 30, 2015 – ADATA® Technology, a leading manufacturer of high-performance DRAM modules and NAND Flash products, today launches the Premier SP600NS34 M.2 2242 SATA 6Gb/s SSD for Ultrabooks and desktop PCs. To meet the latest platform and users’ expectations, “slimmer, faster, and power-saving”, ADATA’s Premier SP600NS34 features multiple functions to enhance efficiency, such as DEVSLP, BCH ECC technology, and Intel® Smart Response Technology. If you are seeking a new solution to upgrade your Ultrabook, the Premier SP600NS34 will be a great choice with the best cost-performance ratio! 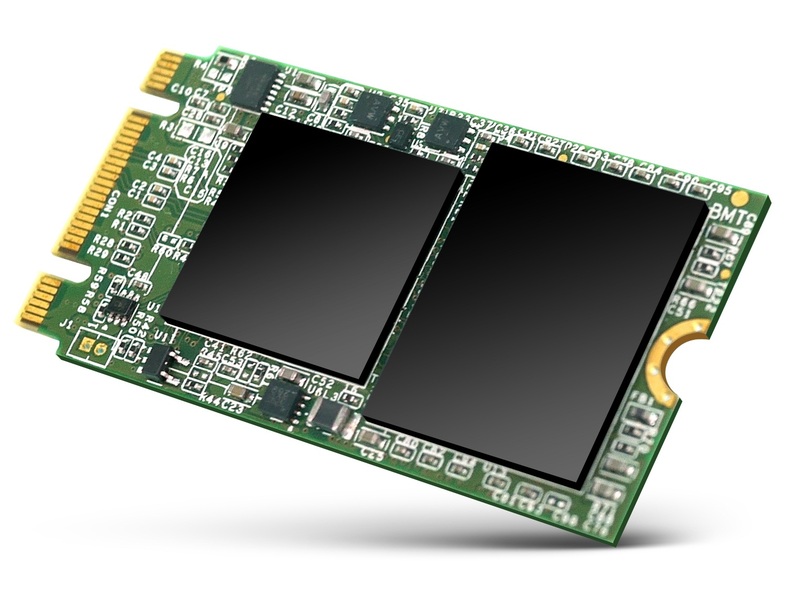 The Premier SP600NS34 comes in capacities of 128GB and 256GB, and adopts the smallest SSD form factor – M.2 2242, with measurements of only 22 x 42 x 3.5mm. However, the compact size does not sacrifice performance – with the JMicron controller, the sequential read speed of SP600NS34 is up to 550MB/s, and the maximum 4K random read/write performance is up to 75K/77K IOPS. The Premier SP600NS34 supports DEVSLP (Device Sleep) technology, helping to consume less power than traditional idle and prolonging the battery life at the same time. To improve the efficiency of data transfer, the Premier SP600NS34 supports Intel® Smart Response Technology, which automatically identifies the most frequently used data and applications, increasing the data transfer rate. It’s equipped with a DDR3 DRAM Cache Buffer, improving the random read/write performance up to 2 times when compared to SSDs without a DRAM cache. In addition, the Premier SP600NS34 supports hardware BCH ECC (Error Correction Code) up to 72bits/1KB for excellent reliability and data protection. ADATA SSDs come with a free download of the software “SSD Toolbox” help users quickly and conveniently configure, optimize, and monitor the overall health of their solid state drives, such as system set up, security erase, or firmware updates. You are currently browsing the CHANGE AGENTS PR blog archives for the day Tuesday, June 30th, 2015.